Photographers across the UK are currently up in arms over a new Bill, which seeks to make fundamental changes to copyright law. The Digital Economy Bill, currently passing through the Lords, and championed by The Secretary of State, Lord Madelson, was originally aimed at addressing internet piracy, illegal downloads and file sharing, particularly of videos and music. However, a recent clause, that addresses a growing issue surrounding the use of archive materials held primarily by museums, has enraged many photographers. These are materials, usually visual, where the author of a piece of work cannot be traced, have become known as “Orphaned Works”. 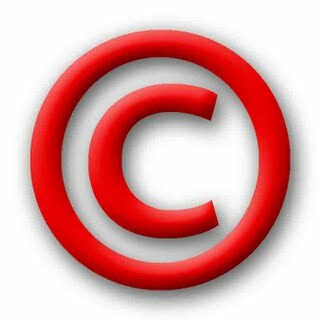 In circumstances where the appropriate length of time following the creators death has not passed (50 or 70 years), current copyright legislation prevents them from being published or used commercially. However, following pressure from these institutions, and other commercial libraries, the Bill now has a clause which could allow such “Orphan Works” to be legitimately published. But, there could be unintended consequences of the new legislation, which could have a serious impact on photographers, artists and writers alike. The proposal is to allow publishers (be they online or in print) to use “Orphan Works” commercially if they have conducted a due diligence search and pay a sum to the government. However, the definition of an Orphan Work currently does not exist in law, and the sum payable is currently undefined. The Bill is proposing that these can be defined or altered at some later date by the Secretary of State. So how does this impact photographers? While the growth of the internet and digital photography has seen a huge increase in the number of images we see and use, it has also been more than matched by the growth of illegal use of copyrighted images. Current legislation, consistent throughout the world and agreed by international conventions (Berne and WTO TRIPS treaty) has been the cornerstone of creative industries, allowing an author to own their work, decide how it can be used, negotiate a licence fee, have a credit assigned on publication and pursue unauthorised usage. If the Bill allows Orphan Works to circumvent this legislation, photographers believe that there will be a huge loss of their published images into orphaned works. In the digital era where scanning, image manipulation, cropping and deliberate data stripping is common place, it is not difficult to see how an image can easily be disassociated from the author, and that any due diligence search would fail. Many also suspect that the data stripping would be done deliberately either by individuals or on a larger scale by commercial libraries. This concern is not just limited to photographers, but any visual artist, and all are concerned that the legislation would have a serious financial impact on a section of the media industry that is already under serious threat. There are several photographic bodies and associations like the Association of Photographers (AOP) and the British Photographic Council, as well as the British Journal of Photography, who are currently voicing their position and in the case of the AOP, briefing peers who are participating in the debate, on behalf of all photographers (like Lord Puttnam). The Lords Select Committee on the Constitution are also concerned enough about the fundamental basis of the legislation to describe Lord Mandelson’s proposal to define “Orphan Works” and determine the levy paid by the Secretary of State in legislation after the Bill has passed as “inappropriate”. The Bill is currently moving through the House of Lords, before being passed to the House of Commons. With the election looming and pressure increasing to see this Bill pushed through before that date, photographers are concerned that the right changes might not be made, before the bill makes it onto the Statute Books. It is expected that there will be a considerable amount of lobbying, and a flurry of letters to MPs over the coming weeks, to bring the issue to the attention of MPs.